Kentucky Whittaker Creations: Update 1: Choose Your Own Adventure Quilt-Along! Update 1: Choose Your Own Adventure Quilt-Along! Hi everyone! It's Mona here and I want to give you an update! I am participating in a fun event this summer. I am one of the Camp Counselors at Oda May's "Choose Your Own Advent" Quilt-Along! 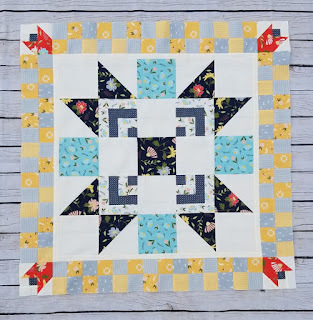 This medallion quilt is a fun adventure where each week you get to choose one of two "paths" in our camp and create a quilt that is unique to you and what you like! This week, we had the option to travel down Path A: Four Points or Path B: Cross Creek. As I was the Camp Counselor for Four Points, I decided to go down that path. As you can see above, Four Points is a traditional four-patch quilt block. 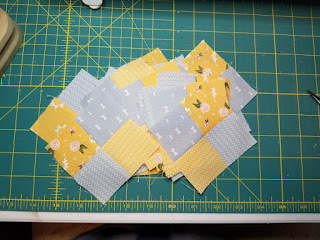 I shared my technique for piecing this over on the Moda Bake Shop site. Finally, I used the Tulip Field Cornerstone to finish off this round (see the first picture). I love tulips, so of course, I had to use this block! Plus, the reddish-color really helps to set this border. I have to say, there are lots of little pieces to cut. 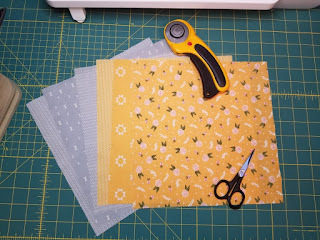 Make sure that you are using good quilting and cutting tools and be sure to check your seam allowances! 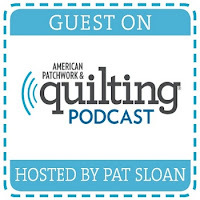 There is still time to join the quilt-along. Head over to the Moda Bake Shop site and get all of the details. 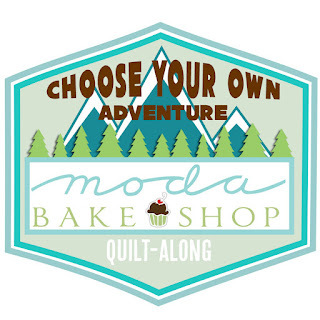 Make sure you join the Moda Bake Shop Bakers Facebook group and check out the wonderful pictures on Instagram with the #chooseyourownadventureqal tag.